Incorrect information on a credit report can have a negative impact on a person’s credit score, and therefore affect the person’s ability to get low interest loans, and even affect a person’s employment prospects in some industries. Because of this, it is important for a person who notices incorrect information on his credit report to correct the information with the credit reporting agencies, and dispute any incorrectly reported charges or information. Pursuant to the Fair Credit Reporting Act, consumers in the United States are entitled to a free annual credit report, and they should take advantage of the opportunity this presents to ensure that their credit reports are accurate. After getting a report and seeing unfamiliar lines of credit, debts, or judgements reported, the consumer should take steps to understand the charges. Some common errors on credit reports include paid debts reported as unpaid, discharged debts reported as owed, incorrect personal information, and having information on credit cards and other debts reported that do not belong to the consumer. A consumer seeing any of these or any other errors on the credit report may have to contact each of the credit reporting bureaus or the creditor listed on the report. If the error is with a creditor with which the consumer has a preexisting relationship, it may be easier to contact the creditor directly and try to dispute the charges. This cuts out the middleman and the consumer may be able to get a better idea about how the error happened and how it can be fixed. Nonetheless, the consumer may use an attorney to dispute the charges directly with the creditor on his behalf. If the incorrect information is due to identity theft, then the affected consumer will have to go through some additional steps in order to dispute the charges, including filing a police report on the identity theft. A consumer who is unable to resolve a dispute about incorrectly reported information with the reporting creditor can write a personal statement that would be included within the credit report to explain the disputed charge. This can sometimes be helpful, especially if the late charge is due to a third party’s error. The consumer can also wait until the disputed debt is older than seven years, at which point it should be off the credit report and be uncollectable by the creditor. 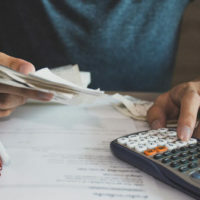 If a creditor attempts to collect on a debt that is improperly reported, either by calling the consumer or by filing a lawsuit, the consumer may have several options for dealing with this. The consumer may have legal defenses to challenge the creditor’s right to collect the debt. The consumer should never ignore a disputed debt, especially after the creditor files a lawsuit. If you are not sure how to start the process for disputing charges, you need to talk to an experienced attorney before you start any negotiations with a creditor. Contact the Philadelphia law firm of Louis S. Schwartz, Attorneys at Law to speak to a debt collector abuse attorney today.